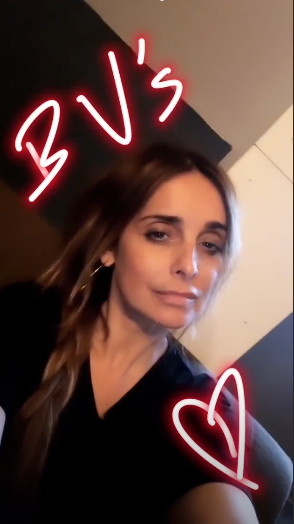 Louise Redknapp has now opened up about juggling her busy work life with being a mum – confessing that ex Jamie ‘ruins’ her one day off. During an interview on Chris Evans’ Virgin Radio Breakfast Show, the Strictly star – who shares Beau, 10 and Charley, 15, with Jamie – admitted she only gets Sunday’s off as she continues to work on West End show 9 To 5: The Musical. And during her rare downtime, it turns out she has to spend it watching her boys play rugby in the freezing cold. She said, “I do all eight shows a week so I have Sunday off. Opening up about her ex, she continued, “Jamie works a lot on the weekend because he’s at the football. Football star Jamie was married to Louise for 19 years before announcing their split in 2017. Meanwhile, Louise recently admitted she struggled with self-esteem issues during their marriage. Speaking to YOU Magazine, she explained, “I wish, three years ago, I’d been able to just speak up. For a long time it was easy to blame him. But despite enjoying her new busy lifestyle on the West End, Louise added that she can’t wait to return to being a stay-at-home mum this summer. “It’s been great, I’ve loved it,” she said.